The agency's original statement states that the police officer was looking for "illegal activities" in a channel on a residential street in Rio Bravo, a border town about seven miles south of Laredo, when a group of undocumented immigrants started beating him. dull objects. An updated statement posted on Friday said the officer, a 15-year veteran of the border patrol, ordered the immigrants to "get on the ground," but "the group ignored its verbal orders and instead hurried him. The new statement also used other language to describe the woman who has now been identified as Mrs. Gómez. The earlier statement said that the officer whose name was not published had at least one shot with his pistol The updated statement did not refer to them as "attackers," instead the officer said a round beating "a member of the group." The border patrol agent was dragged adm on an administrative leave, and The FBI and Texas Rangers are investigating the shooting. Marta V. Martinez, who lives in Centeno Lane, near the scene of the shootings, denies the first report from the Customs and Border Guard on Thursday about the shooting and said she did not see any Weapons the group could have used. "There was no weapon. They hid themselves, "Ms. Martinez said about the undocumented immigrants, adding that she" heard no shouting or "stopped" or "did not run." 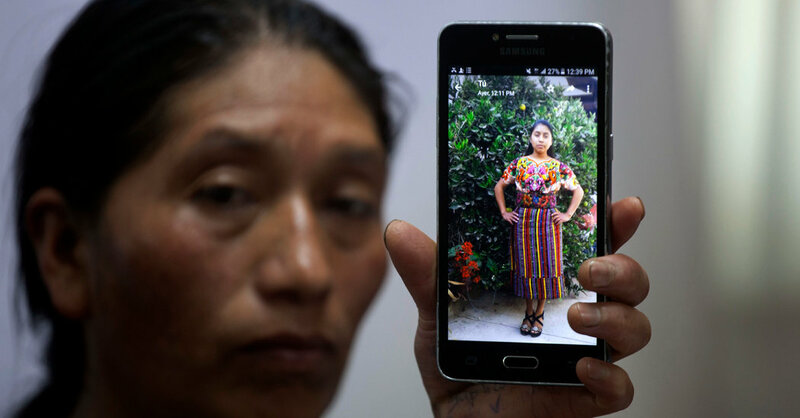 After hearing the shot, she ran outside, seeing Border Patrol agents on her block and hit record on her cell phone. She then peered over a chain-link fence onto the adjoining property, she said, seeing an officer rolling over a woman's body. The officer started breast compression on the woman, but Ms. Martinez said it was clear that the woman had already died.